This is the department which receives the patient initially as he walks into the dental college for treatment . Their primary function is the listen to patient symptoms ( eg. dental pain ) and do a basic examination and if required prescribe medication. Based on the primary checkup they also make a treatment plan or sequel for the patient ,and subsequently refer him/her to the respective departments for specialized treatments. 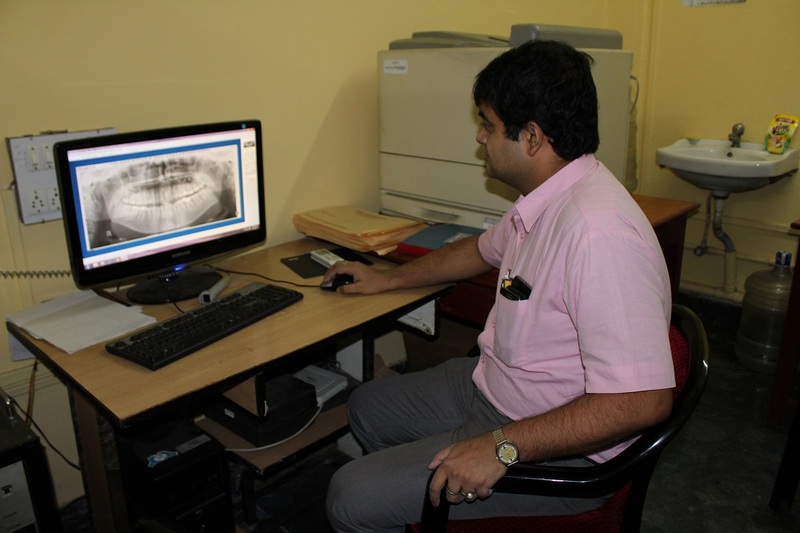 The Radiology wing of this department receives requests for dental X rays ( IOPA X RAY ) and Full Jaw X rays ( OPG X RAY ) from various departments of the college. They take and process these xrays , and also primarily describe or report these xrays. 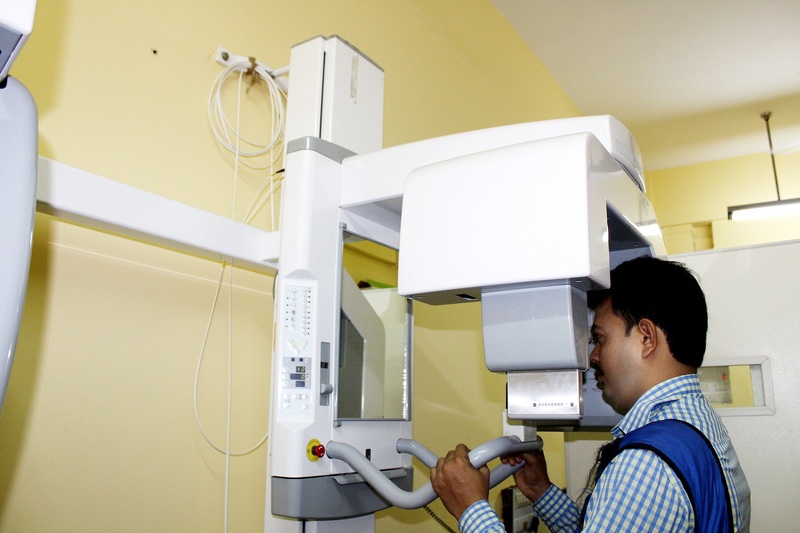 The department is planning to install the Cone Beam Computed Tomography Machine ( CBCT Machine ) very soon in the future. Apart from formulating a treatment sequel for the patient , they also specialize in diagnosing some disorders of the oral cavity like ulcers , precancerous lesions , red & white lesions , salivary gland disorders , autoimmune disorders affecting oral cavity. They can individually diagnose and treat conditions of the oral cavity and provide medical treatment for them. Dr Kaushik Dutta was Faculty of Oral Medicine and Radiology in West Bengal State IDA CDE program. Kaushik Dutta was Judge in PG paper presentation in Oral Medicine and Radiology in Annual Conference of West Bengal State conference. Dr Kaushik Dutta was Prize winner in National IAOMR PG convention.